The following comes to us courtesy of Julia Taylor, Graduate Fellow for the Carey C. Shuart Women’s Archive & Research Collection. This week marks the opening of three new collections from the Carey C. Shuart Women’s Archive and Research Collection, highlighting the lives and accomplishments of three Houston women—Betty C. Jukes, Claudia Kolker, and Marcella Perry. The University of Houston is proud to feature these diverse collections surrounding these very different, historically significant women. The first finding aid belongs to the Betty C. Jukes Papers. Jukes worked for more than fifty years as an event planner, philanthropic fundraiser, and patron of the arts in Houston and beyond. She founded the Houston Junior Woman’s Club in 1968, and is a lifelong member of The Woman’s Club of Houston. Betty served as president of both organizations, and was also involved in the West Point Cadet Glee Club’s Houston performances. Betty even coordinated a World Wildlife Event where Prince Philip, Duke of Edinburgh, was the guest of honor! 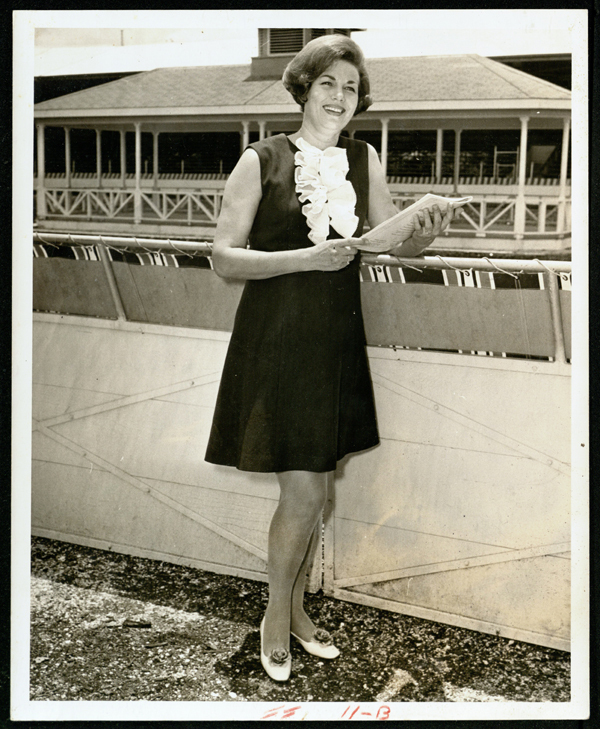 The Claudia Kolker Papers, the second collection to be released to the public this week, catalogues the journalism and authorship of a Claudia Kolker, a journalist who has served as bureau chief for the Los Angeles Times, on the editorial board of the Houston Chronicle, and more. Her work has been featured in The Washington Post, The Boston Globe, The Economist, O: The Oprah Magazine, Slate, and Salon. She has reported from El Salvador, Mexico, India, and the Caribbean on politics, religion, and more. In 2011, she published her first book, titled The Immigrant Advantage: What We Can Learn from Newcomers to America about Health, Happiness and Hope. The collection contains Kolker’s research material and drafts of her book and an extensive catalogue of her published articles. The papers of Marcella Perry are now also available to the public. Perry, a Houston Heights resident, was appointed to the board of directors of Reagan State Bank in 1950, making her one of the first female bank executives in Houston. 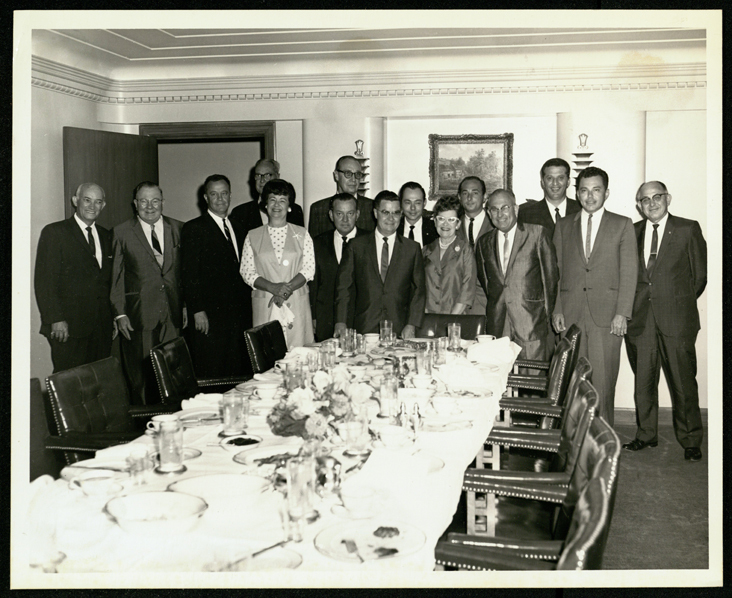 In 1973, Marcella was appointed by Houston City Council to serve as the city’s first female commissioner of the Port of Houston Authority. She also served on the board of regents for Texas Woman’s University and was politically active for much of her life. 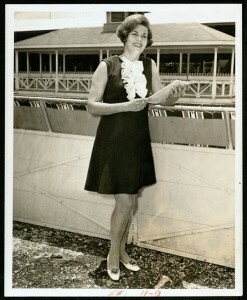 Perry’s collection includes photographs, correspondence, and press clippings related to her work as a bank executive and Port of Houston commissioner. Come by the reading room (located on the second floor of MD Anderson Library) to view these exciting new additions to the Carey C. Shuart Women’s Archives and Research Collection! For any inquiries about these collections, please contact archivist Vince Lee.